I just love decorating with a collection of something....suitcases, ironstone pitchers, baskets. While one of something may be lost in a display or seem unimportant, adding a few more to the display instantly brings more attention to the piece. 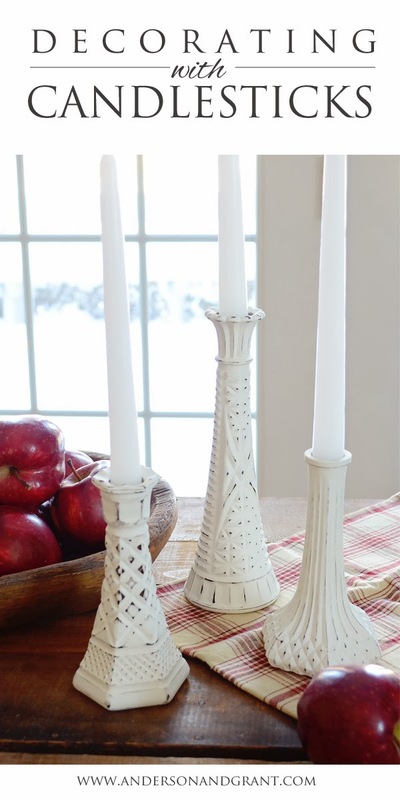 On Monday I shared an easy DIY project for turning glass vases into candlesticks. 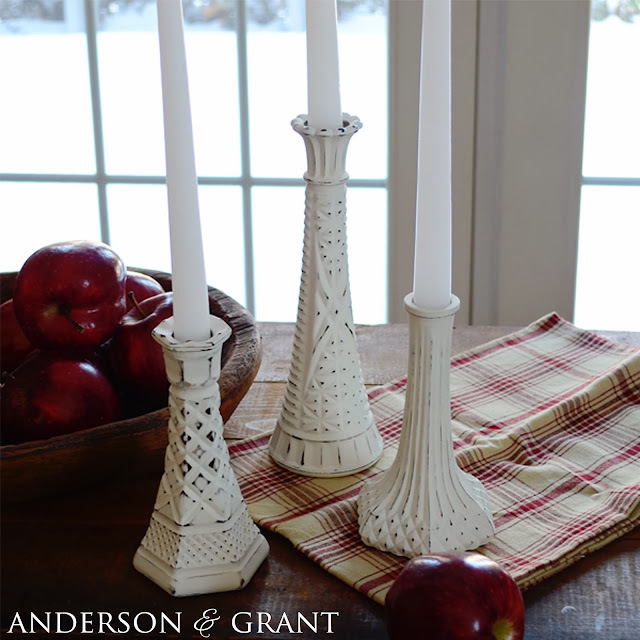 Candlesticks are one such "collectible" that look great combined together when done correctly. A display of candlesticks looks more interesting when the candlesticks are all different, but have a similar characteristic. 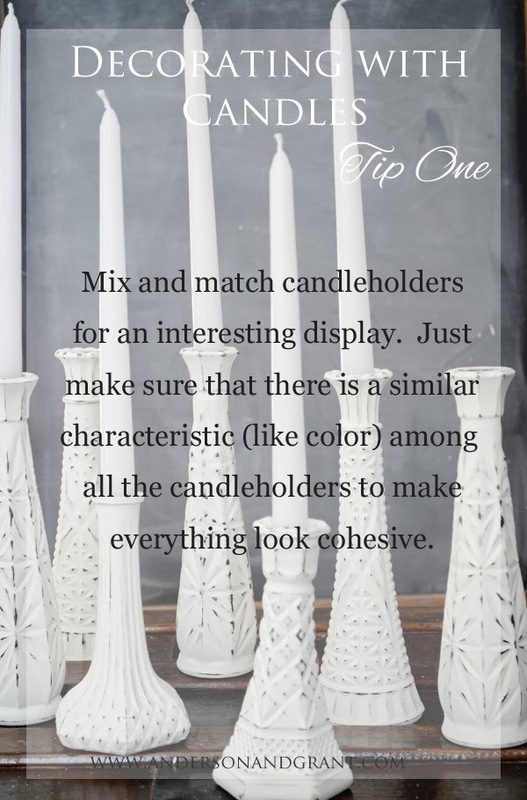 For instance, the candlesticks can all be different shapes and sizes if they are all a similar color and have the same color candles. 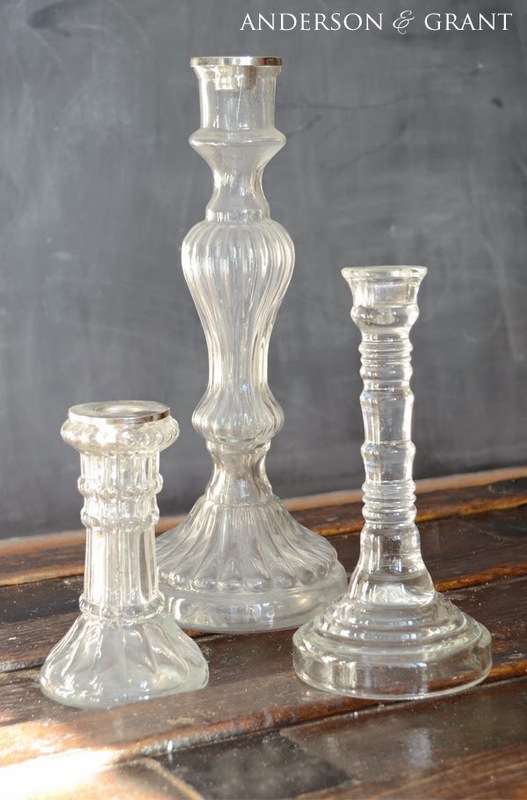 Glass candlesticks are easy to find at thrift shops and yard sales and look great mixed together on a shelf or mantel. 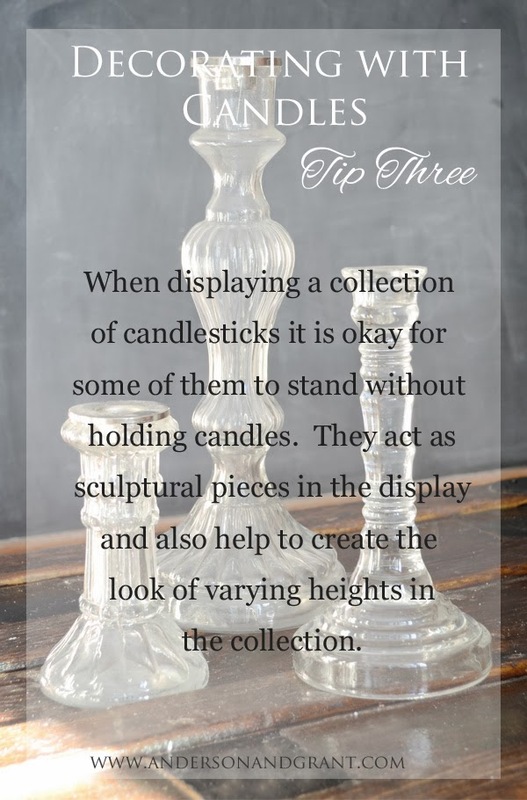 Vary the height of your candle holders to make your eyes move through the display. It is more interesting to see the candles appearing at different heights rather than straight across. 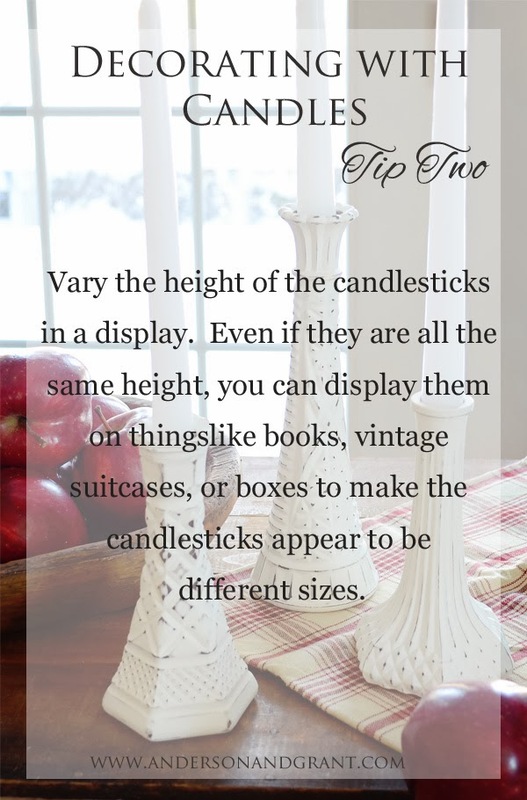 And if all of your candlesticks are the same size, use things like vintage books, suitcases, or boxes to elevate some of them to different levels. Just because you have a candlestick, doesn't mean that it has to have a candle in it. 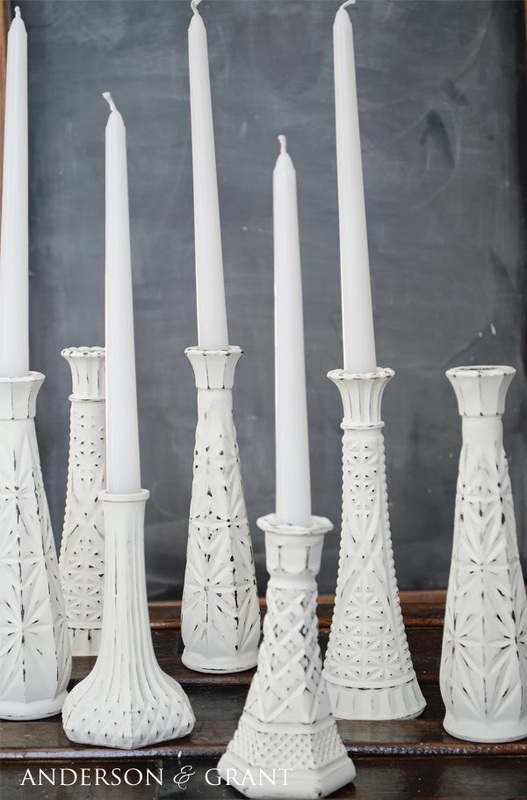 I'm not suggesting that you line your table with a bunch of random, candle-less candlesticks. But it is okay if not every candlestick has a candle in it. Some really interesting candlesticks act as sculptures in the display. They also add another dimension of height among the collection. This picture appeared in a recent catalog for Serena and Lily. I think this is a perfect example of how amazing glass candlesticks can look together....I also love how great the clear glass vase looks added into the display! 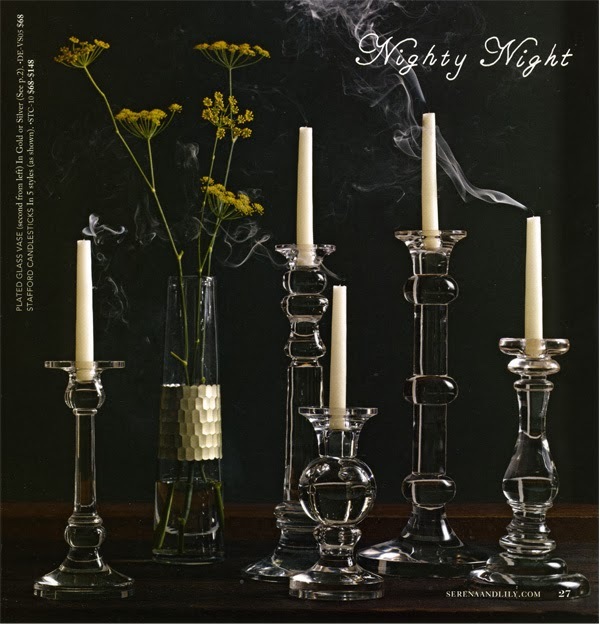 Pottery Barn has a collection of different glass vessels holding candles on top of the bookcases that I think is really eye-catching. Some of these are just jars, but work equally as well as an actual candle holder. 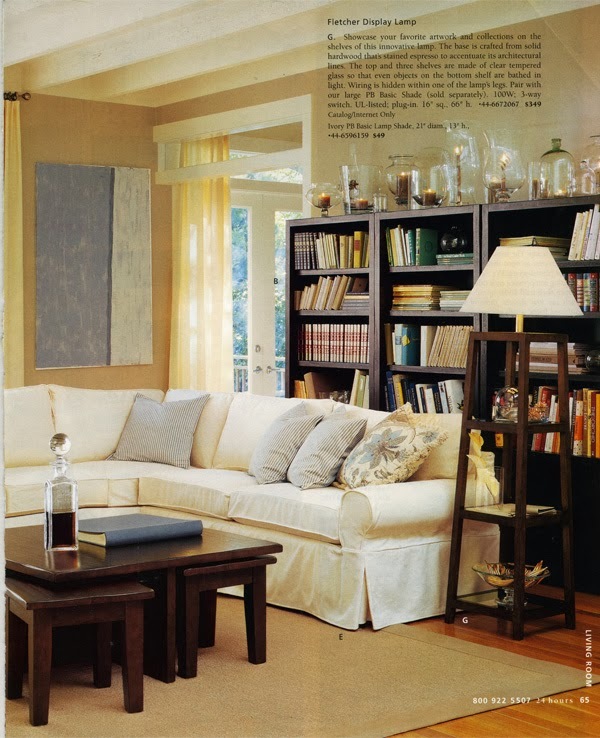 Did any of these tips inspire you to mix and match a collection that you have around the house this weekend?